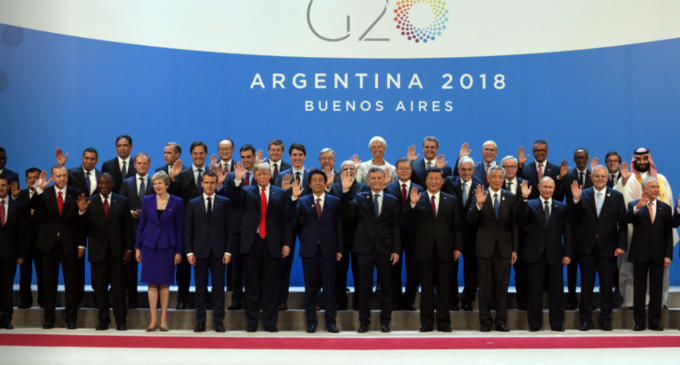 Leaders of the top 20 industrialized countries of the world had gathered last weekend in Buenos Aires, Argentina. Although issues like trade war and protectionism, especially the conflict between the United States and China, had been in the center of attention, officials had also discussed taxation for cryptocurrencies at an international level. We will regulate crypto-assets for anti-money laundering and countering the financing of terrorism in line with FATF standards and we will consider other responses as needed. We thank Mr. Mark Carney for his service as FSB Chair and we welcome the appointment of Mr. Randal K Quarles, as Chair of the FSB and of Mr. Klaas Knot, as Vice Chair. We will continue to work together to seek a consensus-based solution to address the impacts of the digitalization of the economy on the international tax system with an update in 2019 and a final report by 2020. It’s good to know that the initiative will be discussed in-depth at the Japan meeting. So far. Japan had been one of the most inclusive countries when it comes to cryptocurrencies. The country had taken the path of self-regulation and also initiated some steps to regulate crypto speculation. The banking sector is also interested in the blockchain technology, working together to find a proper way to integrate it into their activities. Still, a consensus among G20 countries is not expected to be reached with ease. Especially since we have countries like China who had established a total ban on cryptocurrencies. Until the final agreement will come, it is up to every individual or company to take care of the taxation process. As we have discussed in the article about Bitcoin taxation, we encourage every person, who wants to get involved in trading cryptocurrencies, to declare their income and pay taxes. That’s what any professional should do. Thus far, cryptocurrencies had not reacted to the G20 statement, since no important measure had been announced. It’s good to know, however, that all the countries attending the meeting agreed on the statement that shows inclusiveness when it comes to digital assets.